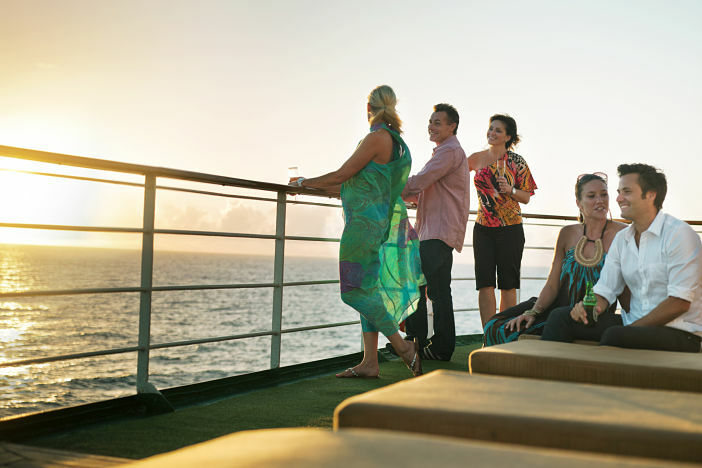 The Australian economy is enjoying a huge boost, thanks to cruise passengers enjoying themselves on port visits and day trips. During excursions, cruise passengers are spending an average of $180 each per day. Added to the average$608 spend before boarding the ship – cruise passengers are significantly benefitting a wide range of businesses. Sydney businesses have been the main beneficiaries of the cruise passenger splurge, with the average cruiser spending $762 whilst in the in the port. Fremantle and Melbourne received an average of $600 per passenger before boarding and during port visits. Cruise Lines International Association Australasia Chairman, Gavin Smith, argued that these figures demonstrate the far-reaching benefits of the cruise industry to the economy and small businesses. With the Australian cruise industry set to enjoy a record-breaking season, these economies could enjoy even more benefits next year as more passengers pass through the port and visit the cities and sites. The market has enjoyed significant growth with more and more of the world’s largest ships visiting the ports of Australasia and global brands focussing more on the region. Royal Caribbean has just released their first Australian television advertising this campaign – realising the huge potential of the region. For a full range of fantastic cruise throughout Australasia next season and beyond, visit the Cruise1st homepage or call our dedicated sales team on 1300 857 345. Images sourced via P&O Cruises Press Center and Flickr Creative Commons. Credit: P&O Cruises and Travis Simon.